Unusual Scottish gin maker announces quest to “properly garnish” thousands upon thousands of cocktails. 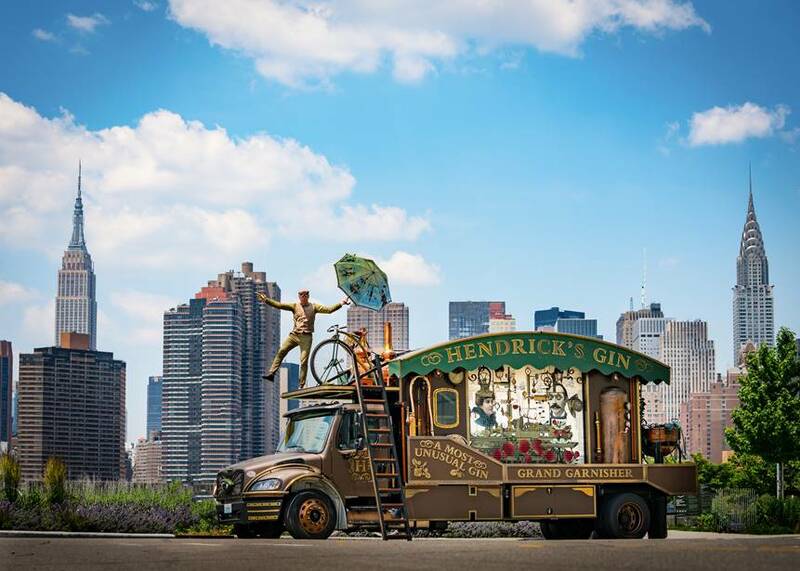 The Hendrick’s Grand Garnisher will commence its maiden voyage from New York City on June 14th, World Cucumber Day,” said Stoddard, “driving westward from city to city, pausing in select locations to offer citizens strikingly perfect garnishes, cucumber delights and other oddly refreshing activities. This is part of our effort to end misperception of the cucumber as an innocuous salad ingredient. 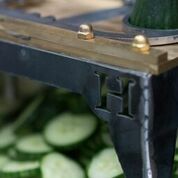 As the core infusion that makes our gin unusually exquisite, we feel the cucumber deserves not only respect but wonder. Every drop of Hendrick’s Gin is created by a single stillman with the help of a lone apprentice working on two utterly dissimilar types of stills (a long-necked Carter-Head and plump-bellied Pot Still). Hendrick’s is infused with Rose and Cucumber and instilled with a supporting cast of 11 botanicals. It is overseen by its creator, Master Distiller, Lesley Gracie, who has always been consummately peculiar. Hendrick’s gained widespread acclaim and received numerous awards, including a Double Gold medal in the 2014 Fifty Best Gin Awards; ‘Gin of the Year’ at the Food and Wine Magazine Awards and voted ‘World’s Best Gin’ by the Wall Street Journal. Hendrick’s Gin has an ABV of 44%. Please enjoy the unusual responsibly. For further information, visit www.hendricksgin.com. Holdings Ltd. is an independent family-owned distiller headquartered in the United Kingdom and founded by William Grant in 1887. Today, the global premium spirits company is run by the fifth generation of his family and distils some of the world’s leading brands of Scotch whisky, including the world’s most awarded single malt Glenfiddich®, The Balvenie® range of handcrafted single malts and the world’s third largest blended Scotch, Grant’s®, as well as other iconic spirits brands such as Hendrick’s® Gin, Sailor Jerry® Spiced Rum, Tullamore D.E.W.® Irish Whiskey, Monkey Shoulder® Blended Malt Scotch Whisky and Drambuie® Scotch Liqueur. William Grant & Sons has been honored as “Distiller of the Year” by the prestigious International Wine & Spirit Competition and International Spirits Challenge 11 times over the past 16 years, including the most recent award in 2016. Founded in 1964, William Grant & Sons USA is a wholly-owned subsidiary of William Grant & Sons, Ltd. and features one of the fastest growing spirits portfolios in the USA with brands including Glenfiddich, The Balvenie, Hendrick’s Gin, Sailor Jerry Spiced Rum, Tullamore D.E.W. Irish Whiskey, Drambuie, Milagro Tequila, Grant’s, Hudson Whiskey, Gibson’s Finest, Monkey Shoulder, Clan MacGregor, Reyka Vodka, Solerno Blood Orange Liqueur, Montelobos Mezcal, Ancho Reyes, Flor de Caña Rum, The Knot and Raynal French Brandy. For more information on the company and its brands, please visit www.grantusa.com.